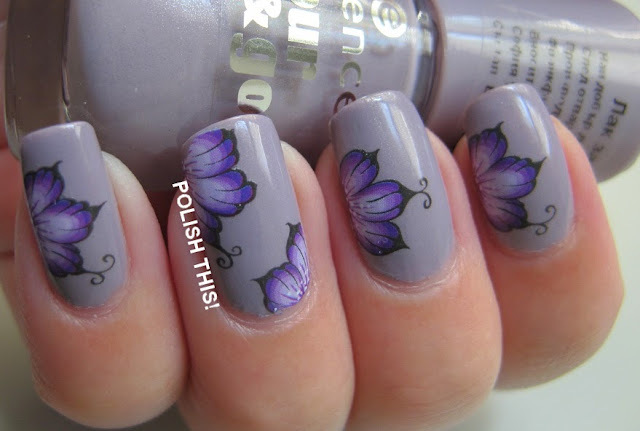 Essence Ballerina's Charm with Water Decals - Polish This! 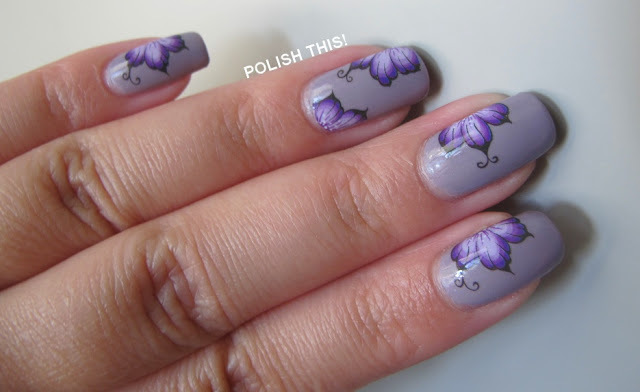 I have quite simple but still really pretty mani to show you guys today! I used two coats of Essence Ballerina's Charm as my base color and then I just added some flower water decals to complete the design. Simple but pretty! I did these nails for a birthday party and I thought the mani turned out to be really pretty. Essence Ballerina's Charm is quite a pretty one it self too. Unfortunately, these pictures don't really show the gorgeous shimmer it has... But it's really pretty one and I do love this type of color! Also it covered quite nicely with just two coats.